← Chicago: Here’s Your Chance to See PRIDE AND PREJUDICE AND ZOMBIES this Thursday! Silver Bullet was beyond any average werewolf movie I’ve seen during this era. 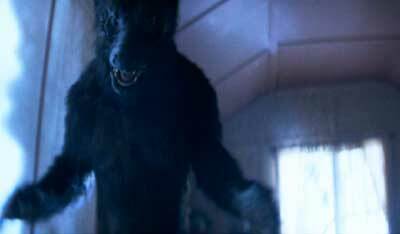 Before Monster Squad (and learning that the wolfman had gnards) I have never seen a werewolf movie where someone in my age bracket had to deal with a wolf. Janie is a teenage girl dealing with a lot of stuff. Her younger brother Marty is in a wheelchair, her uncle is Gary Busey and there is a wolf terrorizing her small town. Though the movie is narrated by Janie’s character the movie is really all about her brother and his fancy wheelchair known as the Silver Bullet which is ironically named after the thing that kills werewolves! What? The thing that I loved about Silver Bullet was the revelation of werewolf human. if you haven’t seen it then go away because I need to talk about this and I don’t want to spoil it. Are you gone yet? The priest is the wolf! A man who is supposed to be holy is eating people! Mind…blown! I thought that was risky and brilliant. No one would see that coming and that made it perfect. Silver Bullet was probably my first exposure to any werewolf movies back in my youth so it’s special to me and it showed me that anyone, ANYONE could be a wolf in disguise.